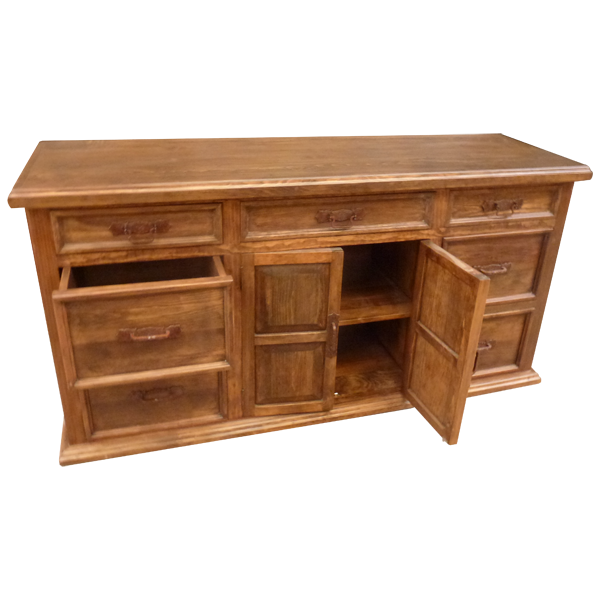 This handcrafted, Western style credenza combines a beautiful, antique finish with practical functionality. Centered in the credenza are two, rectangular cabinet doors, and each cabinet door has a geometric design on its front. 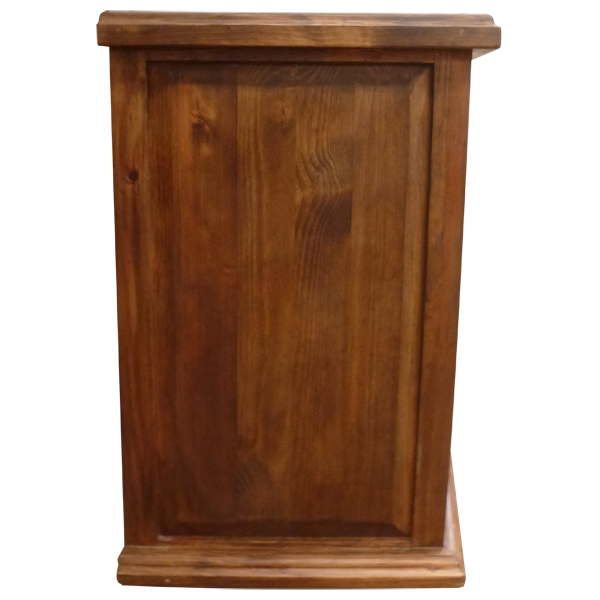 Each cabinet door has a hand forged, iron handle on its side, and inside the cabinet door is a shelf for practical storage. On each side of the cabinet doors are two, large, rectangular drawers, and centered in each drawer is a hand forged, iron handle. 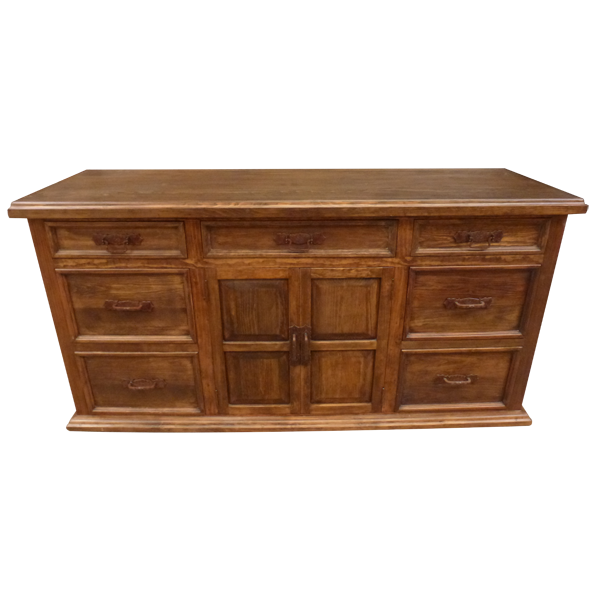 The credenza has a large, open top with a classic, straight top rim, and below the top rim are three, additional drawers, Each drawer is narrow, but wide, and each drawer has a hand forged, iron handle in its center. Each lateral side of the credenza is enhanced with a decorative, geometric cut panel, and the credenza rest on a solid wood molding base. 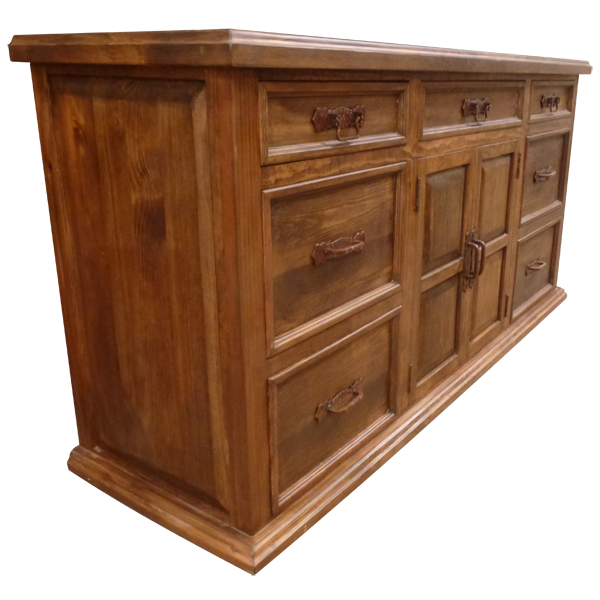 The credenza is finished with a light, antique stain, and it is made with the best, sustainable, solid wood available. It is 100% customizable.